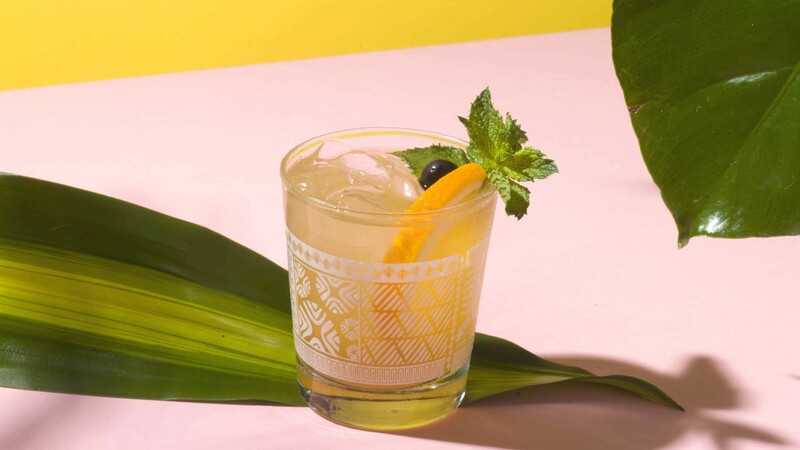 Beverage Director Cameron Bogue teams up with Kelsey Ramage and Iain Griffiths, two conscientious bartenders from Toronto's Trash Tiki, for a sustainable cocktail that repurposes avocado pits. In a mixing glass, add the ginger syrup, toasted avocado nut orgeat, freshly squeezed lime juice, triple sec, Appleton Estate V/X rum and 2 dashes of pineapple and anise bitters. Pack the mixing glass with ice, and top with a stainless steel shaking tin. Shake vigorously 12 times to mix ingredients. Use a strainer and pour over fresh ice in a mai tai glass. Garnish with a cherry, half wheel orange and mint sprig.